We haven’t even hit the season of summer and this will already be our SIXTH software release for the year! (view all the 2016 releases here) Today’s new features introduce a series of new enhancements to the qTest platform designed to help power users get faster and more efficient during the testing process. Below, I will walk you through a breakdown of each of the new features. 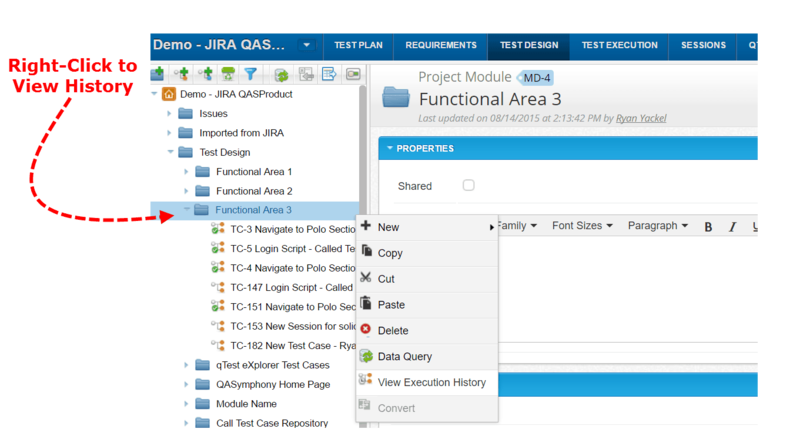 In the qTest 7.0 Release, we enhanced our JIRA integration by adding the Test Run status and links on linked JIRA defects. 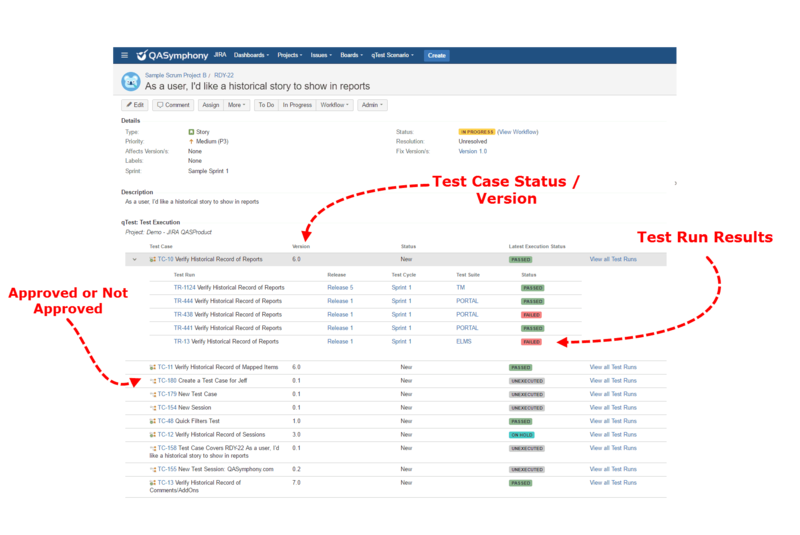 In this latest release, JIRA users can view current and past Test Run Statuses on their JIRA User Stories (and/or other issue types configured to qTest requirements) that require test coverage. Answering the question “What’s the test status of this User Story?” has never been easier. 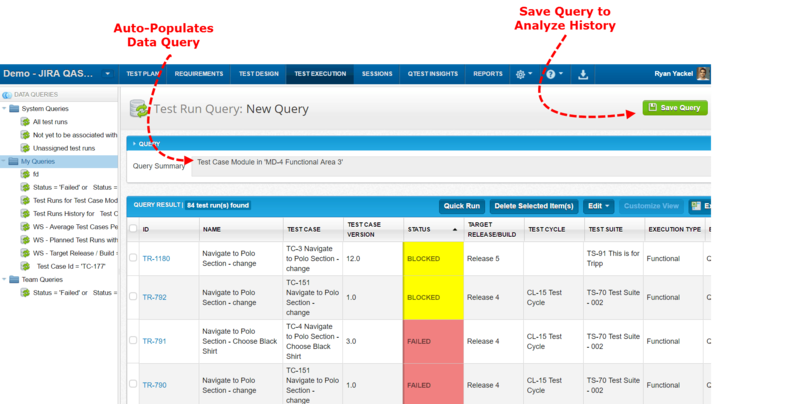 Actionable links to view qTest artifacts and reporting. 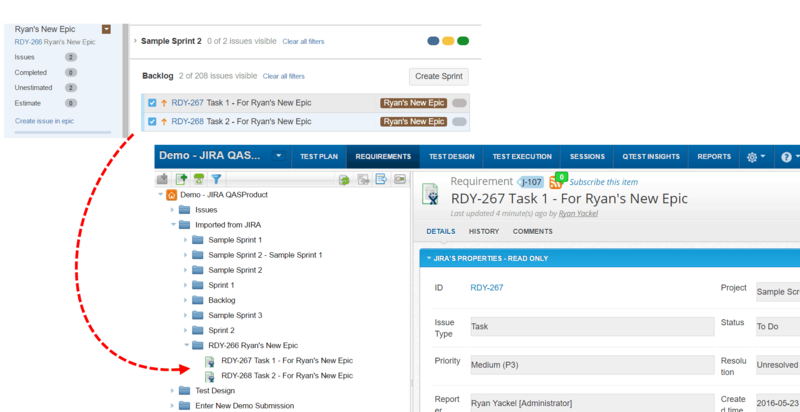 Instantly map your JIRA Epic name to qTest Requirements folders in order to generate real-time traceability reports against your Epic progress. For example, you can now automatically pull over all issues related to the Epic Name and organize them into the Requirements folder seen below. This shows you which test executions map back to each Epic issue type. qTest separates Test Case (Test Design) templates from Test Runs (Test Execution) so that users can reuse the same Test Case using different execution variables. During Test Execution, the same Test Case might be run under a different configuration, assigned to more than one cycle. With the different testing activities taking place, you need to know if the same Test Case passed in one build, but failed in the next. This could be due to the configuration or possibly a tester updated the test case to a new version. Determining the root cause of a failure is now streamlined by viewing the execution history of a Test Case at a moment’s notice. Simply right click on the Test Case and you will be brought into the Test Run data that you need to analyze. 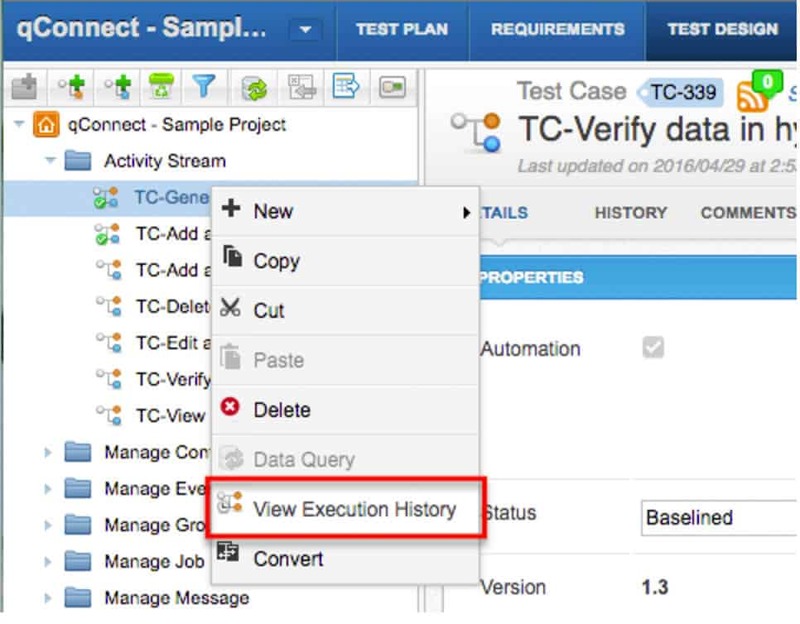 This allows teams to analyze Test Run executions against their Test Case information, including custom Test Case fields and values. We continue to enhance our list of available APIs for our developer community. The more APIs we provide, the easier it is for qTest to work in greater harmony alongside other test tools and platforms within our customer’s existing ecosystems.. Also, these APIs lay the foundation for future out of the box automation and platform integrations coming later this year. Below is a list of the updated APIs. You can always find the latest specification guide in the developer section on support.qasymphony.com. 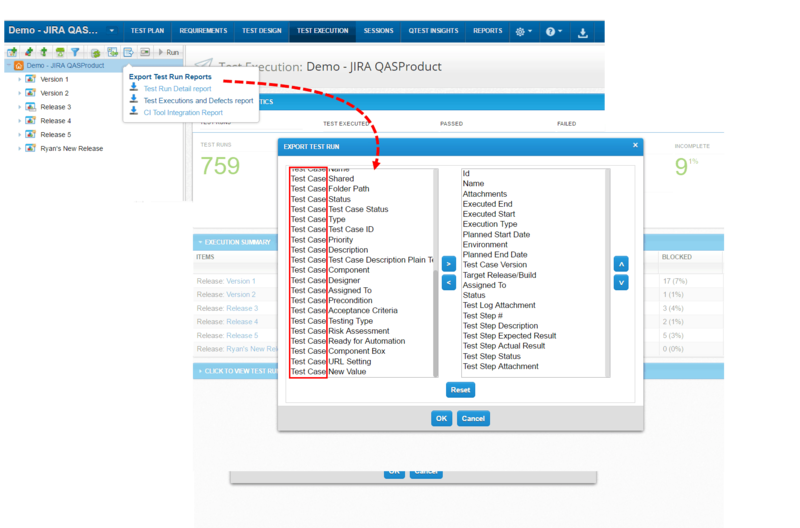 To learn more about our product roadmap, view the Quality Jam 2016 Product Roadmap Session. Wow great blog, the information you have provided was very interesting. Thank’s for the share keep growing.